Garou: Mark of the Wolves, the cult classic fighting game for the Neo Geo, is coming to PlayStation 4 and Vita with online multiplayer. 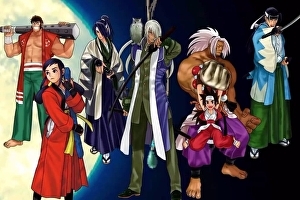 Garou: Mark of the Wolves came out in Japanese arcades in 1999, before launching on the Neo Geo in 2000. A Dreamcast version arrived a year later, in 2001. The Code Mystics, Inc-developed port arrives on PlayStation consoles with Cross Buy and Cross Play support.